Pigs Pigs Pigs Pigs Pigs Pigs Pigs have been announced to appear live on the Mary Anne Hobbs's BBC 6 Music show on the 30 April at 10:30am. 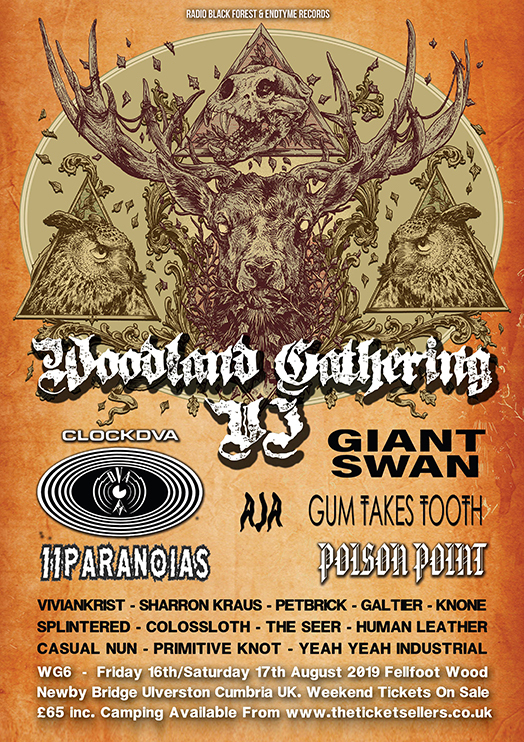 Gum Takes Tooth are to join the likes of Giant Swan at this years Woodland Gathering (VI) on the weekend (Friday & Saturday) of 16th / 17th of August at Fellfoot Wood, Newby Bridge, Ulverston. From the city of Gothenburg (in Sweden) we get 'För Meditation', the debut album (and that premieres, say) of the Scandinavian duo Centrum. Recently released in a vinyl edition (ultra-limited to the press of only 500 copies) by the record company Rocket Recordings / Svensk Psych Aften and inspired by a fruitful passage through India, this soul duet canonized by a meditative, lenitive Drone and devotional, a folk of ritualistic and summer ambiance, and a messianic psychadelism of oriental fragrance, has the rare ability to relax, sedate and dilute in the depths of the inner Cosmos. Packed in an enveloping hypnosis knitted by an edenic mysticism and an enigmatic ethnicity, we are massaged, drunk and converted by an intense liturgy that promptly caresses our bodies and senses. His spiritual sound - easily recognized in contemporary references such as Hills, The Myrrors and Lamp of the Universe, and in classic bands like Gila, Popol Vuh, Agitation Free and Träd, Gras och Stenar - holds a religious trance that unties us we of consciential gravity and set free in a powerful transcendental meditation. With a terrified soul, blindfolded gaze, immortalised smile, head fully engaged in a pendular movement from shoulder to shoulder and nostrils dilated to absorb all this musical incense, we are led and haunted by a tribal drummer, a pulsating and magnetizing reverb bass, a flute serpentine, an alien language synthesizer, a wandering guitar, and a prophetic voice that leads this whole deified procession through the endless plains of the mind. 'För Meditation' is a truly shamanic album that purifies us with its mantra tapestria. Let yourself be wrecked freely by the tantric universe of Centrum, and feel yourself fading in a perfect Zen state that will condition you from the first to the last minute. Return of this therapeutic eucharist of soul completely washed and relieved. One of the most shocking surprises of the year is here, in the enteogénico ritual superiorly prayed by these two Nordic priests of wielded instruments and prophecy offered. 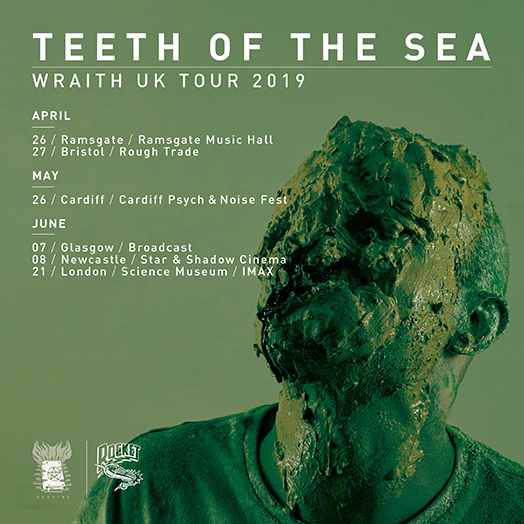 London-based post-everything-and-whatever trio Teeth of the Sea are back with their fifth album Wraith. Exploring the dichotomy of their very own experimental and cinematic weirdness, Wraith is the trio’s most ambitious and irreverent effort. Built over this haunted and eerie Morricone meets Survive’s Stranger Things work, Wraith grows on you easily, becoming some sort of hypnotic and out-of-order trip into their drifting crescendo intensity. 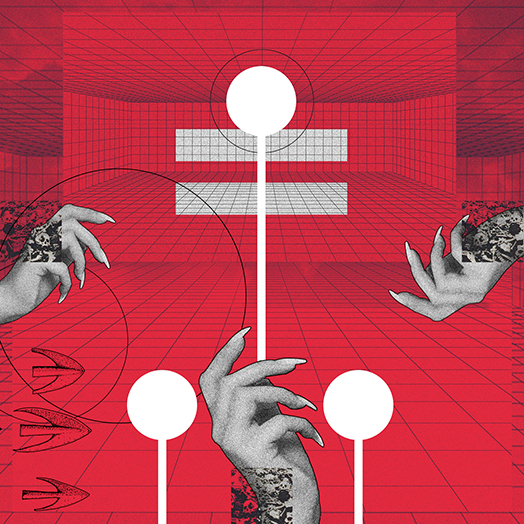 There are obvious roots on experimentalism, both electronic and psychedelic, but there are also branches which extend into uncharted territories, both emergent and urgent. This new effort sees the band strip things back substantially, because there’s the same range of sounds and experimentalism; however on this occasion the atmosphere they create is even bleaker, where euphoria and surrealism bring along a new set of dynamics into their vivid and fearless sound. 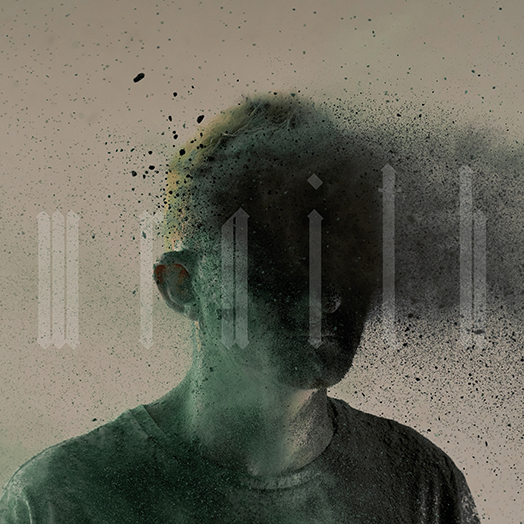 Recorded in London at Soup Studios with Giles Barrett, Phantasy Sound with Erol Alkan and their own The Facility, Wraith is the kind of blowout you expect from the trio’s artistic approach, the perfect sound representation of Teeth of the Sea’s unique irreverence and distinctive creativity. We are delighted to reveal the first track off a new remix EP 'Gum Takes Tooth vs Gnoomes' a release that will coincide bringing the mighty Rocket to the Russian where both bands will be performing on the same bill at this years ‘Gnoomes Fest’ in Perm, Russia on 18th May. electronic sound. A unique sound that merges both speaker ripping psych-rock pyrotechnics and synapse-shredding acid house into a unclassifiable fury that many cannot rival. Three of the key ‘synapse-shredding’ Gum Takes Tooth tracks from ‘Arrow ‘were handed over to their Rocket comrades Gnoomes to remix. Gnoomes are a Russian outfit who themselves blend a potent mix of psychedelic stargaze, kraut techno and kosmiche pop – so a perfect choice of sound manipulators to conjure up their own Gum Takes Tooth interpretations. anthems of Gum Takes Tooth into more kosmiche-techno territory. From the more aggressive techno of ‘KIKOK’ (Gnoomes’s drummer), to the warm trans Europe express migration by ‘Warwara’ (Gnoomes guitarist) and the hypnotic acid house transcendence by Sasha Piankov (Gnoomes singer, bassist and synth player). All three remixes are from a band that don’t limit themselves in the extension of their musical palettes resulting in something very unique and immersive. Gnoomes have also recently announced a brand new album titled ‘MU!’ their third for Rocket Recordings and it is released on all formats on 31 May with a UK tour booked around the time of it’s release. Gum Takes Tooth are also taking their incredible live set onto European stages over the summer. ‘Arrow’ is out now on all formats. 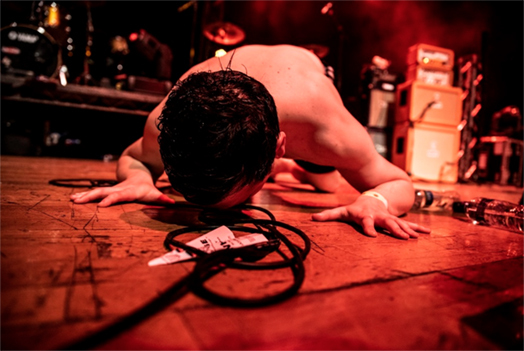 Looming out of the darkness, Newcastle’s Pigs Pigs Pigs Pigs Pigs Pigs Pigs storm Edinburgh with a short but fiery set that showcases why they’re one of the most exciting heavy acts that Britain has produced in recent years. Lit for most of the set in an orange glow reminiscent of a steel forge, their bass-heavy grind is truly something to hear, evoking a battleship fusillade as it rumbles and rolls, while gigantic guitars stab like shards of icebergs plunging into the sea. 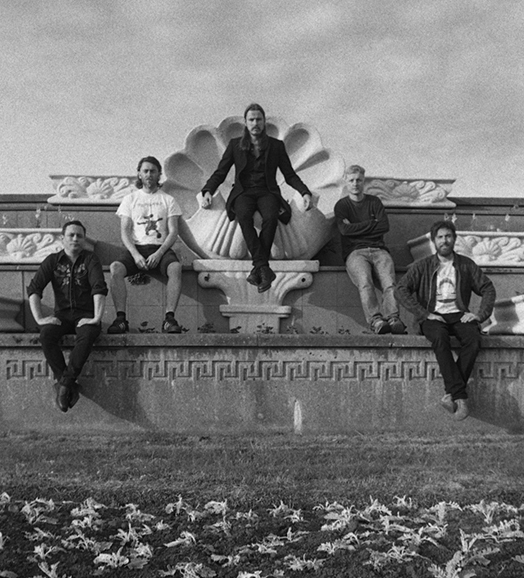 At times, the sheer volume of instrumentation threatens to overwhelm vocalist Matt Baty, but like forward-looking peers Deafheaven there are also touches of shoegaze that suggest perhaps Pigs x7 are rather more avid and diverse musos than perhaps their black clad demeanour hints at.